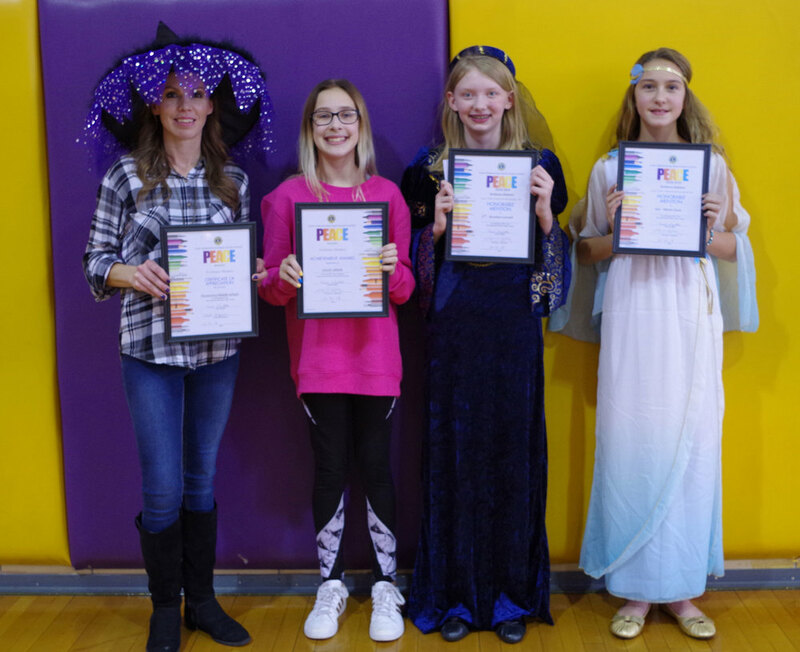 Pecatonica Community Middle School Academic 1st Quarter Assembly - The middle school held their 1st Quarter Awards Assembly on Wednesday, October 31, 2018. Students were recognized for Academic Honors and presented with certificates such as Lion’s Club Poster Award, Girls Volleyball, IMEA Awards, AR Awards, A Honor Roll and Students of the Quarter. There was a special announcement presentation for the “Eleven” students that earned Superior Honor Roll 1st Quarter. We appreciate all student academic & extracurricular accomplishments!